The University of Illinois Springfield will launch a new Massive Open Online Course (MOOC) on the Innocence Movement on February 2, 2015. The free online class is open to anyone who wants to participate. Online registration for the class is currently underway. 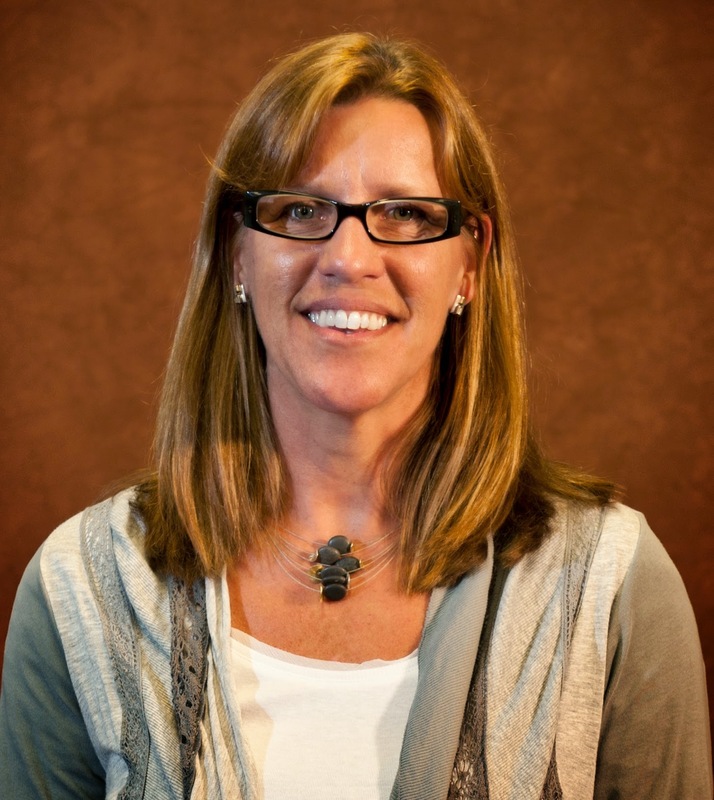 The six-week course will be led by Gwen Jordan, J.D, Ph.D., UIS assistant professor of legal studies and staff attorney for the Illinois Innocence Project. The course is designed to introduce and educate interested members of the public about the serious issues of wrongful conviction, the work of the innocence movement, and strategies to prevent wrongful convictions in the future. The MOOC will explore the scope of the problem, the causes of wrongful convictions, the nature and difficulties of post-conviction innocence work and policy initiatives to address these issues. The Innocence Movement began in 1992 when Barry Scheck and Peter Neufeld established the Innocence Project at the Benjamin Cardozo School of Law at Yeshiva University with an aim to assist prisoners who could be proven innocent through DNA testing. Over the last two decades, lawyers and activists have established more than 70 innocence projects across the United States and more than a dozen additional projects around the world. MOOCs are free online courses. Typically, students will read materials, view video lectures and interviews, participate in discussion, and complete assignments. Students worldwide can take part according to their own schedule and skip sections that are not of interest. After the MOOC has ended, the material remains available as a learning resource for teachers, students, and the general public. Currently no academic or continuing education credit is awarded for MOOCs offered at UIS, though students who complete the course may earn a digital badge. Digital badges are a credentialing tool to validate both formal and informal learning. Those interested in registering for this free online class can do so by visiting https://uis.coursesites.com/. Anyone can register for the class. You do not have to be a UIS student. For more information on the Massive Open Online Course, contact Gwen Jordan at gjorda2@uis.edu. The University of Illinois Springfield has been named to the President’s Higher Education Community Service Honor Roll for a seventh consecutive year. The award is one of the highest federal recognitions a college or university can receive for its commitment to volunteering, service-learning and civic engagement. During the 2012-13 academic year, UIS students spent 66,070 hours engaged in community service. A total of 905 students engaged in some type of community service, with 440 students volunteering at least 20 hours. “To provide some perspective on this number, 66,000 hours of service represents between $600,000 and $1,000,000 of value to our community, and most of that is being directed toward nonprofit and community-based agencies right here in Springfield,” said Mark Dochterman, director of the UIS Volunteer & Civic Engagement Center. Highlights of 2013 UIS volunteer efforts include students collecting over 200 pounds of toiletries and supplies for veterans and $200 in cash donations in support of American Legion Post 32 in Springfield. Students also collected 11,140 pounds of food for the Central Illinois Foodbank as part of the Trick or Treat for Canned Goods event. 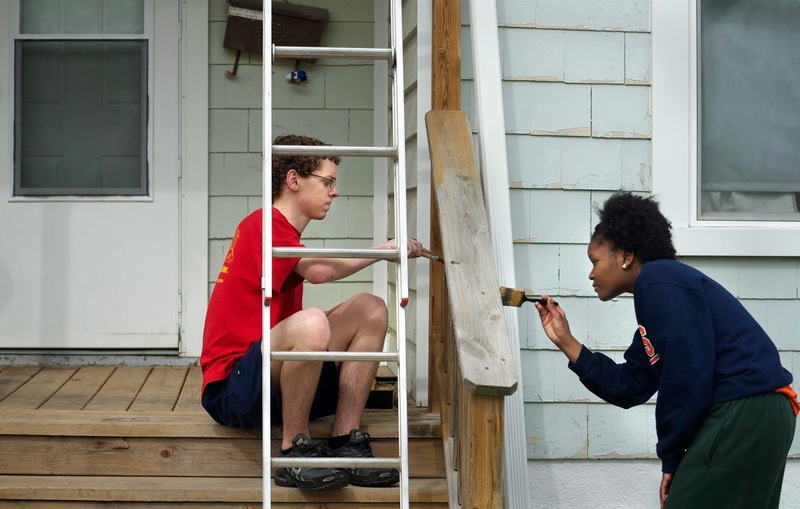 In April 2013, over 200 UIS students participated in the Habitat for Humanity Brush with Kindness Program and made significant exterior renovations to five Springfield homes. UIS students also traveled to Atlantic City, New Jersey in May 2013 to help with Hurricane Sandy relief efforts. Over the course of one week the UIS volunteers helped rebuild four homes damaged by the hurricane. The Corporation for National and Community Service, which has administered the Honor Roll since 2006, annually highlights the role colleges and universities play in solving community problems and placing more students on a lifelong path of civic engagement by recognizing institutions that achieve meaningful, measureable outcomes in the communities they serve. Honorees are chosen based on a series of selection factors, including the scope and innovation of service projects, the extent to which service-learning is embedded in the curriculum, the school’s commitment to long-term campus-community partnerships, and measurable community outcomes as a result of the service. The President’s Higher Education Community Service Honor Roll is an initiative of the Corporation for National and Community Service, and is co-sponsored by the U.S. Department of Education, the U.S. Department of Housing and Urban Development, and Campus Compact. For more information on the award, contact Mark Dochterman, director of the UIS Volunteer and Civic Engagement Center at 217/206-8448 or mdoch2@uis.edu. College-bound students rate the University of Illinois Springfield’s website among the best in the nation for the ability to find information easily. That’s according a new report from the National Research Center for College & University Admissions (NRCCUA). As part of the evaluation, high school students examined the UIS website for key features such as ease of navigation, the ability to apply online, and tuition and financial aid information. The UIS website ranked eighth best in the nation among the 2,929 college and university websites that were reviewed in the NRCCUA’s 16th annual Enrollment Power Index. Overall, the UIS website was ranked in the top 99th percentile nationally. “We were surprised and excited about the ranking. 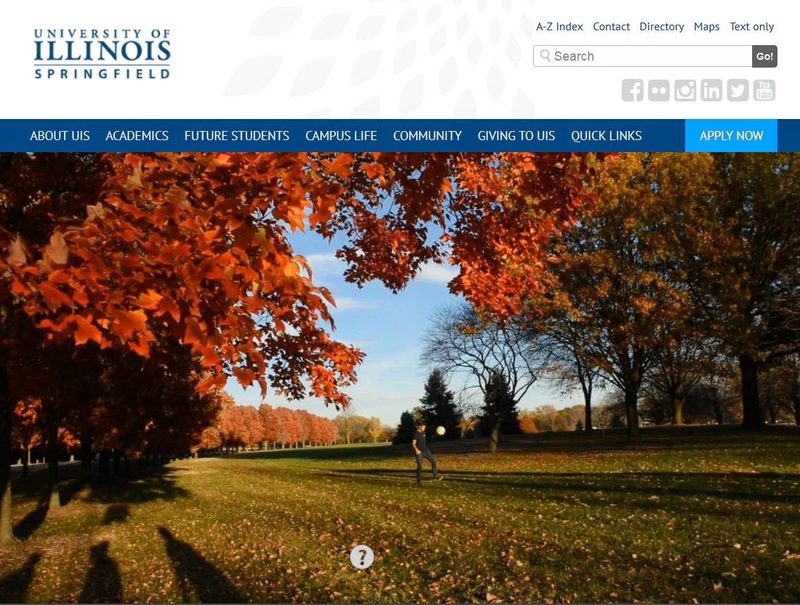 The redesign of our website was a part of a wider effort to enhance our online presence to our audience, especially prospective students,” said Munindra Khaund, UIS director of web services. As part of the report, technical experts also rated the website’s navigation and design. The UIS website received high marks for the ease of navigation between sections and overall for its responsive design. “When it comes to our web traffic, we are dealing with a wide range of viewports on mobile, tablets, and desktops. Responsive web design allows us to serve up our websites by responding correctly to these varying display sizes,” said Khaund. The NRCCUA report found that the UIS Admissions website made it easy for students to request information, submit their application, sign up for a campus visit, and track their application status online. The website also received points for easy access to social media and the ability to directly email and chat live with a counselor.